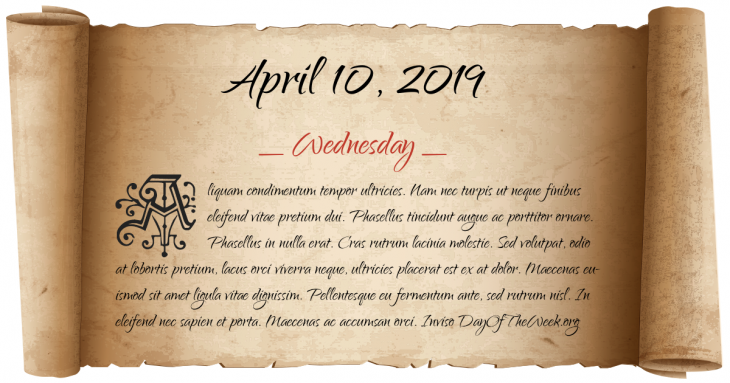 What Day Of The Week Was April 10? Ludovico Sforza is captured by the Swiss troops at Novara and is handed over to the French. Rudolf Vrba and Alfred Wetzler escape from the Birkenau death camp. Akihito, future Emperor of Japan, weds Michiko. Paul McCartney announces that he leaves The Beatles for personal and professional reasons. Ping Pong Diplomacy: In an attempt to thaw relations with the United States, the People’s Republic of China hosts the U.S. table tennis team for a weeklong visit. Who were born on April 10?